Looking for books that will help you feel less nervous and more charming? Look no further. Every aspect of life that’s ever made me feel nervous, intimidated or downright scared was one I didn’t really understand. 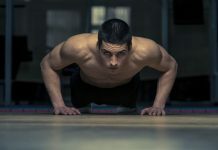 For instance, before I picked up a fitness magazine and started learning how to start a workout plan, the prospect of going to the gym horrified me. Likewise, just thinking about how to make good small talk (or more terrifying still, how to talk to attractive women!) was enough to cover me in a flop sweat, until I discovered that bookstores carry reams of titles about talking to people and improving your social skills. 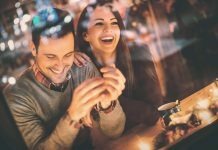 After consuming dozens of books about people skills and conversation hacks, I eventually came to realize that social skills are just like any other skills: they can be learned, practiced and honed. And while you could spend years learning through pure trial and error, I highly recommend giving yourself a head start by doing a little studying first. The nine titles below represent the absolute best books on social skills that I’ve come across. 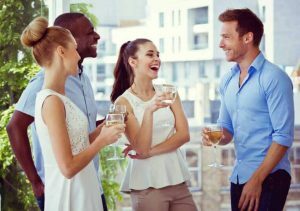 Each one focuses on a slightly different aspect of socializing, and while a few address similar issues, they mostly serves as complements to each other. 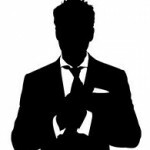 I’ve tried to list them in order of their target audience, so the first ones will be most helpful to people on the shyer/socially inexperienced end of the spectrum, while the latter ones will be more helpful to people who want to refine their social skills or take them next-level. 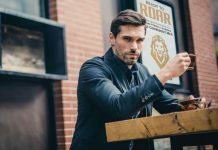 When learning how to become more social, some guys don’t feel like they can dive right into talking to people – they need advice about getting over their own internal hesitation first. 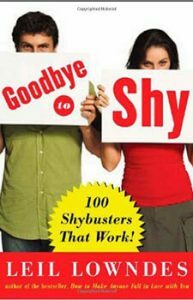 If you feel too shy, reserved or hesitant to just dive right in and start making small talk, this book will provide you with a ton of strategies you can use to get over your nerves and feel more comfortable wading into social situations. 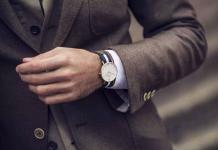 But feeling comfortable enough to enter a social situation is one thing; knowing what to say and do is another. That’s where the next book on this list, from the same author, will come in handy. 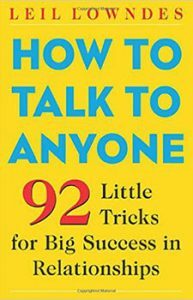 This is one of the best books on social skills because it’s one of the few books whose subtitle, “92 Little Tricks for Big Success in Relationships,” actually delivers—it’s probably done more to improve my social success than any other resource. Written 80 years ago, Carnegie’s book holds up so well that today it’s regarded as one of the most seminal and best books on social skills ever written. Multiple new editions have been released by Carnegie’s estate since the original, but the book’s bread and butter is the fact that his original advice, though anecdotal, stands the test of time. 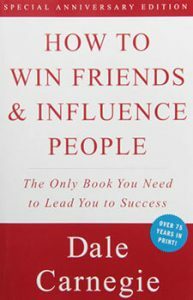 Carnegie breaks the book into sections that sound like manna from heaven to guys who want to strengthen their social skills: “Six Ways to Make People Like You,” and “Fundamental Techniques for Handling People” among them. Though his claims are lofty, for the most part his advice is sound. This one’s an absolute must-read. 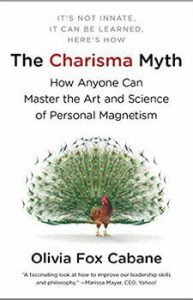 Of the many revelations in Fox Cabane’s book, the most important (for me anyway) was this: charisma is something you can turn on and off. 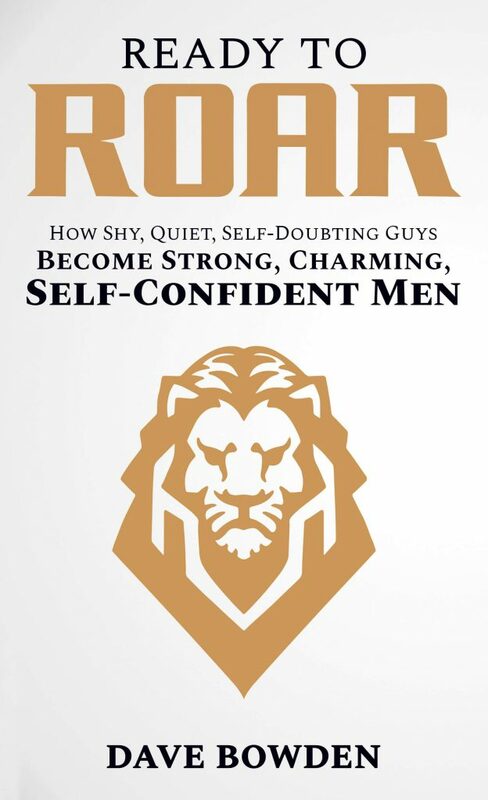 While it may often seem like charisma is some magic power possessed only by those lucky enough to be born extroverted, Cabane demonstrates that charisma is actually more like a muscle – and this book will teach you how to flex it. At this point I know what you’re thinking, but I swear: I am neither the heir to Leil Lowndes’ estate, nor her scandalously young lover. I just think her books are really helpful! 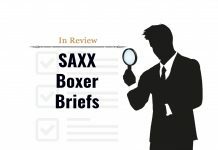 Possible May-December romances aside, this one is similar in structure to How to Talk to Anyone, but its techniques are a little more ninja. Where How to Talk to Anyone is a great way to get conversations (and relationships) started, this one helps you take them to the next level. And speaking of taking relationships next level, once you get used to carrying on a conversation and interacting with others, you’ll probably find yourself wanting to do it not just competently, but charmingly. 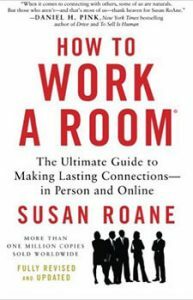 This book is a great, practical guide to doing just that. 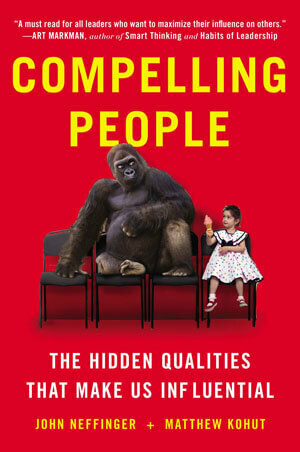 Written by a PR executive, the book emphasizes the value of being charming from a business perspective: charming people have an easier time landing a job, getting promoted and sealing the deal. Fortunately, charming people also have an easier time landing a date, getting into a relationship and, well, sealing the deal. So the book’s many practical lessons definitely have multiple applications. 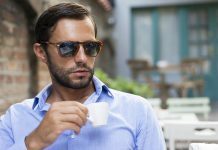 Once you’ve got a few tips under your belt and learned how to be more charming, you can move from merely being comfortable in a room to working it. 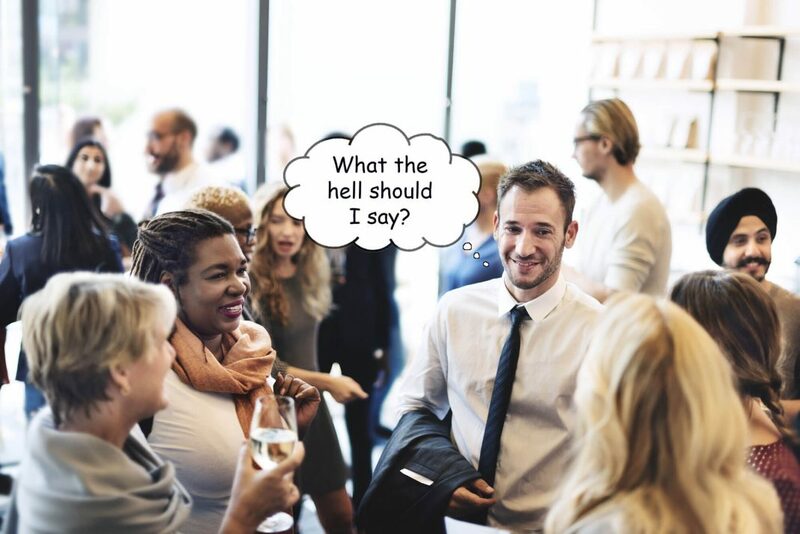 Like Charming Your Way to the Top, this book leans a little professional, providing tips for talking to people at networking events, but it also covers weddings, parties and other social situations. 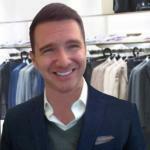 Overall, it’s got good tips that can help you stand out from the socializing crowd. 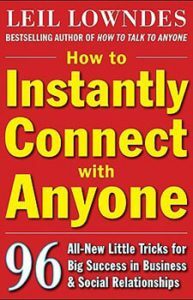 This is one of the best books on social skills not because it teaches you what to say, but because it explains how people perceive you. In Compelling People, communications experts John Neffinger and Matthew Kohut summarize their years of research and experience. But understanding what strength and warmth are is the easy part – the trick is implementing them in our daily lives, and learning how to harness the power of this insight to our advantage. 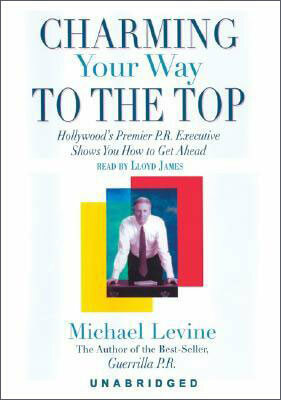 The book provides a roadmap showing you how to do just that. Yes, it’s another book by Leil Lowndes. And again, no, I don’t have any special connection to her that makes me recommend her books. Actually, I guess that’s not entirely true. I do have one connection to her: I feel grateful for having read her books. 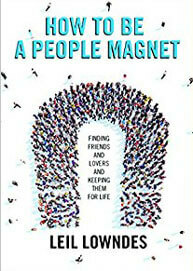 Here Lowndes uses the same formula as her previous books, but focuses on what’s essentially the holy grail of socializing: becoming the sort of magnet personality that doesn’t just do well in social situations, but owns them. 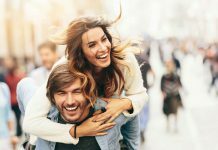 Here she offers insight and advice that will help you be the sort of person others are attracted to – in both a platonic and romantic sense – which will make you not just a better socializer, but a better friend, boyfriend, and (dare I say it) man. 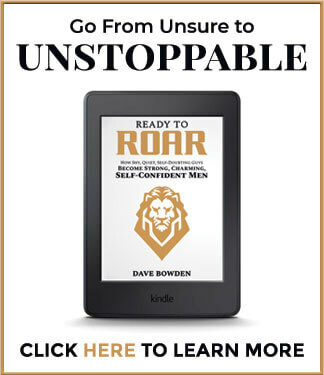 In my Amazon #1 best-selling book, I’ve laid out the road map I used to go from insecure self-doubter to self-assured achiever. I have to admit, I was a little skeptical when I saw that you listed your own book here, but I appreciated how you were honest about the so called “shameless plug”After reading it though, I don’t think your plug was shameless at all. I really appreciated the section about people skills and socializing. Thanks for the advice! You’re welcome Thomas! And thanks for the kind words. Really glad to hear that you enjoyed Ready to Roar. 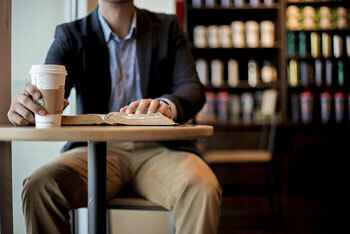 Writing it was a challenge, but it seems to be having a positive impact on guys, which is incredibly rewarding.